What Do Credit Repair Services Cost? Are There Free Credit Repair Services? How Does Disputing a Credit Report Work? How Long Does It Take to Remove Something From My Credit Report? Lots of us have been there....we're trying to apply for a new credit card or want to get a mortgage. But something's wrong with our credit and we end up turned down. Or, if we do get the mortgage or credit card, the interest rate is sky high. Did you know that in many cases, having unfavorable credit isn't your fault? Lenders and credit bureaus sometimes make mistakes! As a consumer, you have the right to review and correct your credit report. Credit repair companies can help, which is why I've created this round up the best credit repair services. If your credit is in the tank, these companies can help you fix it and get on the path to a brighter financial future. Every time you apply for a loan or credit card and get approved, the lender reports the terms of your loan to the three credit reporting bureaus in the US. If you pay your credit cards or loans on time, your credit history should reflect that. If you miss payments or pay late (late payments get reported to the credit bureaus after 30 days), that information shows up on your credit report. The trouble with the credit reporting system is that there are millions of people in the US. Some people have the same name, which means that sometimes the credit bureaus get their wires crossed and report John Smith's late payment on the credit history of another John Smith. That's where credit repair can come in. Credit repair is the process of disputing information that's incorrect, inaccurate, or unverifiable on your credit history. Technically, you can repair your credit yourself. You're entitled to one free credit report from each of the three credit agencies once a year. If you notice anything wrong or incorrect on that report, you can alert the agency by sending in a dispute letter. Once you dispute an item, the agency has 30 days to investigate. If the information is indeed incorrect, the agency needs to remove it from your report. While you can handle credit repair yourself, many people find it easier to work with a credit repair service. Usually, a credit repair service has a team of experts working for it. The team might consist of lawyers or others who are well versed in the law and who know how to approach and engage with creditors and the credit bureaus. They'll work on your behalf to get any inaccurate information taken off of your credit report. Do you just have once stubborn dispute you need help dealing with or 25? $14.99 Setup and As Low as $89.95/mo. $14.99 Setup – Only $99.95/mo. Lexington Law is a law firm that specializes in credit repair and is the best rated credit repair agencies out there. Let us know if you disagree, one thing cant be denied. They are definitely THE best credit repair law firm. 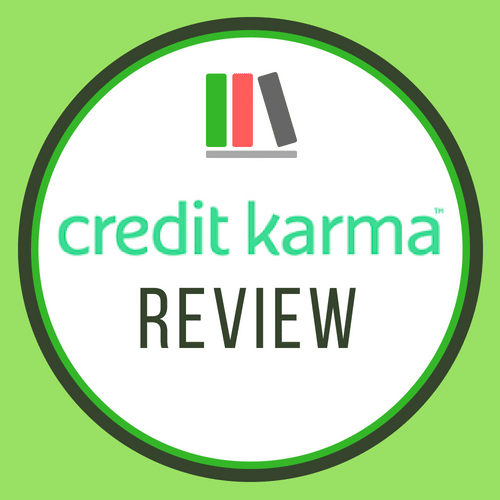 The company works with clients to help them investigate and dispute any negative items that might appear on their credit report. The law firm's goal is to ensure that any negative items on a credit report are fully substantiated and completely accurate. The law firm has three service tiers. The most basic service tier, Concord Standard, focuses on credit repair only. The services included in the Concord Standard tier involve contacting your creditors and credit bureaus, requesting that they investigate incorrect credit items. The second tier, called Concord Premier, offers the same services as the Concord Standard level, plus the ability to monitor your credit reports and fight back against unfair credit report inquiries. With Concord Premier, the attorneys at Lexington Law will work with you to give you a better understanding of your credit score and what you can do to improve it. The top-level service tier, PremierPlus, includes FICO score tracking and credit score analysis, as well as fraud monitoring, legal interventions to stop abusive debt collectors, and personal finance management tools. Of course, the thing to remember when it comes to credit repair is that Lexington Law can't guarantee that it will provide a customer with results. The company conducted a study that found that the average client had more than 10 negative items removed over a four-month period. They do point out that some clients didn't see that result and that it can't promise you will get that type of results, either. Depending on the status of your credit history and report, there's the genuine chance that Lexington Law won't be able to help you. Although it's not for everyone, for the right customer, Lexington Law offers several advantages over other credit repair services. First things first, since you're working with lawyers, you get the reassurance that you're working with people who know the Fair Debt Collections Practices Act and the Fair Credit Reporting Act inside and out. Secondly, the multiple service options mean that Lexington Law is much more than a credit repair company. It won't only help you get inaccurate negative information off of your reports. They will work with you to help you make smarter financial and credit decisions going forward. Based in New Jersey, Reliant Credit Repair aims to help people improve their credit and their finances. The company analyzes each client's credit report in an attempt to find inaccuracies, discrepancies or errors. The company aims to be wholly transparent and legit -- it won't try to remove accurate negative items from your credit report, and it states that it's not an alternative to filing for bankruptcy. Like Lexington Law, Reliant Credit Repair will only help you remove inaccurate or unsubstantiated items from your reports. In addition to its credit repair services for individuals, the company offers a few other options. It recognizes that credit repair is just one piece of the financial puzzle. When you work with Reliant Repair, the company will help you get a grip on your finances and understand your credit score. They also offer services for companies that are looking to establish business credit. Reliant Repair offers multiple tiers of service, each of which charges a monthly fee and a set-up fee. The Platinum fee charges $149.95 for an audit of your credit, then $49.95 a month. At the platinum level, you get up to three credit disputes per month per bureau and creditor. You get unlimited access to an online portal. The next service level is the Platinum Plus tier. It costs $199.95 for an initial audit, then $69.95 per month. You get unlimited disputes per month. The upper two tiers are a bit more mysterious, and the company asks that you call for more information. The Platinum Select level charges a $299.95 audit fee then a per-deletion price but doesn't specify what that means. Information on the highest tier, Platinum Executive, is only available if you call. Ovation Credit is a credit repair service offered by Lending Tree, a company that connects consumers to multiple loan offers. At this point, the company claims to have help to correct 120,000 credit reports, helping customers see an average of 19 improvements in their credit reports. It's relatively new to the credit repair service world. Like Lexington Law, Ovation Credit was founded by attorneys. One of the perks of its Essentials Plus plan is that the service will send a recommendation letter signed by the lead attorney to any creditors or lenders you might deal with in the future. Ovation Credit offers two levels of service, the Essentials Plus plan we mentioned above and an Essentials plan. Both services charge an initial start-up fee then a monthly fee after that. The Essentials plan matches you up with a case advisor and gives you the option of disputing any items on your credit report that you think are inaccurate. You can use the service's online case manager to highlight inaccurate items and to explain why you want to dispute them. Along with providing you with credit repair assistance, the Essentials plan also gives you tools to help you better manage your finances. You'll get help with budgeting, paying down existing debt, and planning for the future. In addition to the recommendation letter, the Essentials Plus plan has a few more bells and whistles compared to the Essentials plan. You get unlimited challenge validation letters sent to your creditors. Challenge validation letters tell your creditors that you dispute what they are reporting. The creditors need to take action after getting these letters, to verify or prove that what they are reporting is correct. You get unlimited Goodwill letters to creditors: These letters ask your lenders to review items on your credit report that might be inaccurate. If the error was a one-time mistake, a goodwill letter might ask the creditor to remove an item as a courtesy. The Essentials Plus plan includes free credit monitoring of your TransUnion report, to make sure you're up-to-date and alerted immediately if there are any significant changes to your credit score. The set-up fee for either plan is either $114 or $89. The higher fee is for people who want to fast track their credit repair and get set-up in just a day. After the first fee, the monthly charge is $69 for the Essentials plan and $99 for the Essentials plus plan. The Credit People claims to have helped more than 100,000 people improve their credit. The company is one of the only credit repair services to offer an "unbeatable satisfaction guarantee." While other credit repair services will offer a guarantee for the first 30 days or 90 days of service, the Credit People want to ensure that you're happy at all times. It provides a refund if you are dissatisfied with the service you receive at any point. Like all legit credit repair services, The Credit People can't promise that you'll see results and can't specify exactly when you'll notice a difference. It does note that many of its clients start to see an improvement in their credit reports within 60 days. Like other credit repair services, The Credit People works to remove negative items from your credit history by disputing items it believes are inaccurate with the credit bureaus. It also uses Goodwill letters to communicate with lenders, asking them to remove specific items. 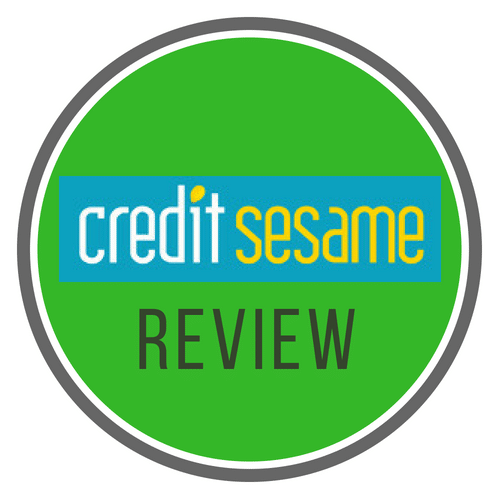 Unlike most credit repair services, the Credit People offers just one service level, for $79 per month. It does offer a free consultation to new clients who aren't sure if the company is right for them. It might surprise you to learn that CreditRepair.com and Lexington Law are owned by the same company, even though they seem to be competitors with each other. The services offered by CreditRepair.com and Lexington Law are similar but somewhat different. CreditRepair.com offers just one service tier, which costs $99.95 per month. When you sign up for CreditRepair.com, the company pulls your reports and examines them to find any issues or discrepancies. It then contacts the credit bureaus about those problematic reports or accounts, asking them to investigate. One of the highlights of CreditRepair.com is the user dashboard and interface. On your user dashboard, you're able to keep track of your progress, analyze your credit score, and keep track of your financial goals. Sky Blue Credit Repair works a little bit differently from other credit repair services. For one thing, it focuses strictly on credit repair. It doesn't offer other services such as credit monitoring or personal finance tips. Another thing that sets it apart is that you're responsible for providing your credit reports. That can be a good thing, as some companies (such as CreditRepair.com) charge you for pulling those reports. You're entitled to one copy of your credit report from each of the three credit reporting bureaus once a year, thanks to the Fair Credit Reporting Act. As long as you're able to access a recent copy of your report, there's no reason you should have to pay someone to get it for you. Once you've delivered your reports to Sky Blue, the company gets to work reviewing them. It will identify any items it thinks are worth disputing on your reports. Some companies ask you to find disputable items, but Sky Blue handles this step for you. Since the company knows what to look for, it's more likely to be better at finding items worth disputing. It will continue to argue in your defense if the bureaus aren't willing to correct errors. The repeated disputes make it more likely to incorrect information to be removed from your report. Sky Blue is one of the cheaper services out there. It costs $69 per month and has a couple's discounted price of $99 per month. One neat feature of the service is that if the team at Sky Blue can't find anything to dispute in your credit reports, it won't charge you. Since the cost of credit repair can add, Sky Blue gives you the option to pause your service as needed. The Credit Pros is a credit repair service founded by an attorney who is well-versed in credit reporting and consumer protection law. Although it initially charged clients on a per-item basis, it has since switched to a monthly fee structure, similar to most other credit repair companies. Two plans are available from The Credit Pros. The individual plan costs $179 to start and $99 per month after that. A couple's plan costs $279 to start and $159 per month after that. The plans include a consultation with a FICO specialist one-on-one, unlimited dispute letters, Goodwill letters, and cease & desist letters to debt collectors. The company will also send debt validation letters to creditors on behalf of its clients. Although the initial start-up cost of the Credit Pros is higher than other companies, and the monthly fee is on the high side, you do get more regarding service from the company. Most other credit repair services will only dispute with the credit bureaus at the lowest service tier. With the Credit Pros, you get services that most other companies charge a premium for. The company doesn't offer a money-back guarantee like some of the other services out there. But it does promise that you can cancel if you are unhappy with your service. One thing that stood out about the Credit Pros was the time it takes to get the ball rolling. You provide the company with your credit reports. According to it, it can take up to 60 days for you to receive your credit report through a credit monitoring service. Once you get the report, you're supposed to mail it into the company. That strikes us as a bit antiquated, as it's easy to get a credit report online in just a few minutes. The process of getting credit reports seems slow, if you use them try grabbing your own report () maybe you can get a reduced rate. If you decide to work with one of the best credit repair services, it will usually cost you. The good news is that credit repair companies can't charge you before they do any work for you. If a company does try to charge you before it does anything, that's usually a sign that it's a scam. Most will bill you on a monthly basis for all work performed the previous month. Prices vary based on the type of package you purchase and based on the specific company. Generally speaking, you can expect to pay anywhere from $70 or so per month to over $100 a month. Usually, you can cancel your account with a credit repair service at any time; you aren't stuck with an ongoing subscription. While there aren't any free credit repair services out there, there are ways you can try to correct your credit for free. If you take the DIY route, you can often get a credit bureau to remove inaccurate information without spending a dime. The trouble with doing things yourself is that there's more room for error. When correcting your credit on your own, you need to understand what's in your credit report and what it means. It can be challenging to figure out which accounts are accurate and which ones aren't if you're not an expert. In the long run, many people find that it's more cost effective to work with a credit repair service than to try and fix things on their own. Credit repair is often a misunderstood process. In part, that's because for years, there were lots of illegitimate, scammy companies out there who promised to repair people's credit, but couldn't deliver on their promises. At its heart, the goal of credit repair is to get your creditors or the credit bureaus to remove inaccurate information from your credit report. How that inaccurate info got on your report can vary. It could be that you have the same name as someone else and a sleepy employee clicked on the wrong file. It could be that someone keyed in a number wrong when entering your data so that an on-time payment showed up as late. Or, someone could have typed in the wrong Social Security number, resulting in a bankruptcy belonging to someone else shows up on your credit report. If a credit bureau is going to report information, that information needs to be correct and verifiable. That means that if the bureau can't prove that the item in question is yours, it has to remove it from your report. Along with contacting the credit bureaus to dispute inaccurate items, some of the best credit repair services will send goodwill letters to specific creditors. A goodwill letter doesn't focus on correcting misinformation. Instead, it asks a lender to remove late payments or other negative information from your report if you've since brought the account up-to-date. For example, let's say you were dealing with an illness and were a month late paying your credit card bill. It was the only time you were late, and you've been making timely payments ever since. A credit repair company can send a letter to the credit card company pleading on your behalf. Many companies will remove the late payment, provided you have a good track record with them otherwise. Other ways that credit repair can work include questioning certain hard inquiries (like auto insurance) and sending cease & desist letters to debt collectors. Debt collectors need to follow certain rules and procedures laid out in the Fair Debt Collection Practices Act. One of those rules is that the debt collector needs to stop contacting a person who sends them a cease & desist letter. The letter will get the collector to stop bothering you, but it won't necessarily make the debt go away. If you know for a fact that the debt isn't yours, credit repair can take a two-pronged approach, getting the debt off of your credit report and getting the collector to leave you alone. Before you start shelling out $100 or so a month, you want to know if credit repair is going to do the trick. That's where things can get murky. Most legitimate credit repair services will tell you their averages and the number of negative items they've removed from people's credit reports. Some will even share with you how much they've helped to raise their average client's score. But here's the thing, legally, none of these companies can promise you that they will work or that they will be able to repair your credit effectively. There are just too many variables in the credit reporting and repair process to say with any accuracy that a particular company will be able to help you. But if you see a company that promises results or that promises you'll get a "new identity," you'll want to run in the opposite direction. Are there fast credit repair services out there? It all depends. How long it takes to repair your credit depends on a variety of factors. For example, if your credit has taken a hit because of one piece of incorrect information, removing that information should help it bounce back quickly. But if your credit is a mess because of years of late payments, a bankruptcy, or other debt-related issues, it can take much longer to improve your credit. Accurate negative information can stay on your report for seven to 10 years. Not only will you want to work with a credit repair company to get rid of any errors, but you'll want to take steps to improve your financial habits and behaviors so that you don't end up with accurate negative items on your credit history. Just as no legitimate credit repair company can promise specific results, they can't promise results within in a certain timeframe. Many will note that some clients see results after a month or two and that many clients get the full results after six months or so. Your credit score is an ever-evolving thing. You could check your credit score one morning and get a 700. The next day, a lender could run your credit and pull your score and get a 715. Every time a lender or creditor reports something new to the credit bureaus, it can affect your score. It's possible for a score to fluctuate considerably overnight, depending on the type of information that got reported. Generally speaking though, lenders are likely to report to the credit bureaus on a monthly basis. Thats why, if you were able to successfully get a late payment removed from your record by a lender, that information should show up on your report within a month and should help to improve your credit score the next time a creditor or lender needs to pull it. Errors on credit reports are more common than you might expect. Nearly a quarter of US consumers had errors on their credit reports, according to a study from the Federal Trade Commission. That same study found about 5 percent of consumers had a maximum score change of more than 25 once the error was removed from their reports. One way to get errors off of your credit report is by disputing them with the credit bureaus or your creditors. According to the FTC, the credit bureaus and the companies that report information the bureaus are on the hook for correcting inaccurate information on your report. When you dispute an item, either through a letter or with the help of a credit repair service, the bureaus or creditors need to take action to verify that the information is correct. Often, disputing an item on a credit report involves contacting the bureau responsible for the report. One way to accomplish this is through a letter. While you can send the letter yourself, many people prefer to let a professional write out and send the letter, as it can lead to better results. Once it gets the letter, the bureau has 30 days to begin an investigation. They'll be in touch with the company that provided the information you're disputing, who then needs to launch its own investigation. After it finishes the investigation, the bureau needs to provide you with the results. If it did find that the item was an error, it should provide you with a new copy of your credit report, which shows that the change has been made. Usually, the process is completed within 45 days. It's worth noting that bureau or creditor can decide that your dispute is "frivolous" and refuse to take action. Working with a credit repair service can help you decide which issues are legit and worth disputing. Positive items will stay on your report for as long as the account is open. If you close a positive item, such as a credit card you always paid on time or if you paid off a loan, the account will show up on your report for 10 years. In the case of disputed errors, the item should be removed from your report as soon as the credit bureau finishes its investigation. That can usually occur within a month or two of your dispute. We'll admit, the credit repair waters can be a bit murky. As with pretty much any other industry, some credit repair companies aren't legit. They're out to make a buck off of the pain and suffering of others. That can make it tricky to find the best credit repair services. Credit repair isn't only legal, there are several laws out there that make it possible. Some of those laws are designed to protect consumers from scammy companies. The Credit Repair Organizations Act was first passed in 1996. It governs how credit repair companies can interact with and promote their services to customers. Thanks to the law, legit credit repair companies can't charge you up front. They can't promise to give you a new identity or to wipe accurate information off of your credit report. Thanks to the act, a credit repair service needs to let you know that you can take action yourself to report errors and fix your credit. When you're choosing a credit repair company, you want to look for one that follows the law. Steer clear of any that want money from you before they do anything or that promise to give you a completely new credit history. It's smart to look out for companies that promise results. Most of the credit repair companies we've reviewed make it clear that they can't guarantee anything. They can show you what they've done to help others in the past, but they can't promise to do the same for you. Sad to say, but there are a lot of scam artists out there. That's why I wanted to put together a list of the best credit repair services. As consumers, we have a right to expect that the information floating around out there about us will be correct. Legit credit repair services give us the tools to make sure what our credit reports say about us is as accurate and as truthful as possible.